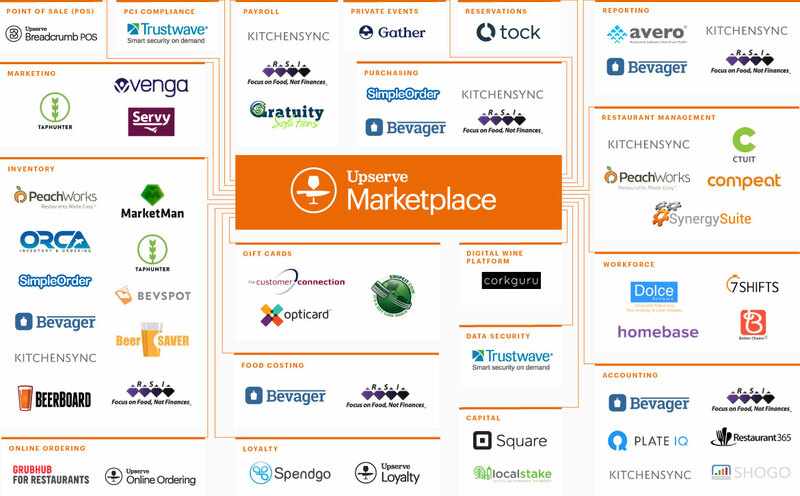 From the morning rush to the afternoon slump, Upserve POS, formerly known as Breadcrumb, gets the job done. With transaction control, customer intel & menu management, it’s easy to see why successful cafes choose our POS system. 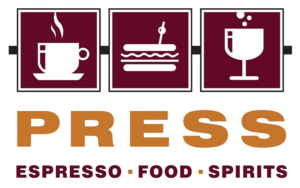 PRESS Bistro used Upserve’s Cafe POS to increase revenue by 30%. Owner Jeremy Shearer was able to spend less time at the cafe and more time focusing on new projects that foster economic development in the community. Read more. "Upserve has provided the most modern cloud based POS system available. The training and corporate team are knowledgeable and patient to work with. The cost compared to other POS systems is an extreme advantage." "I use the Upserve App to have access to live sales information at any time...It provides information about labor, voids, and discounts, as well as comparisons to previous week or year. Very user friendly, easy viewing, and fast!..." "Great POS System Ease of making updates and changes. Being able to make price/ item changes on the fly that are reflected immediately is very advantageous to my business"
A mobile POS designed for your bustling business. Take orders with a few taps and a swipe, and split the check if you need to. Then, collect payment in cash or EMV and let patrons tip and sign directly on screen. Voila! And if a drink didn’t turn out just right, we’ll help you void or discount – no sweat. When the internet cuts out and you’re totally swamped, our offline mode keeps your checks and orders running. Use our New vs. Repeat Customer report to learn who your VIPs are and how you can drive more loyalty to your restaurant. Knowing what sells is only half the battle. To create an optimal experience for current and future guests, you need to dig deep into customer behavior. 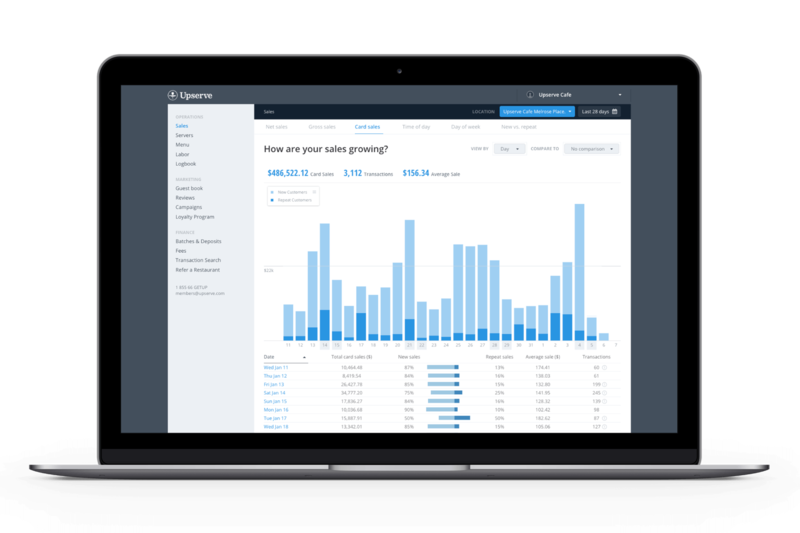 Our business intelligence integrations offer never-before-seen insight into the habits and desires driving customer purchases. Know why they’re stopping in each day, so you can keep making them smile. Know what you should be serving, when. 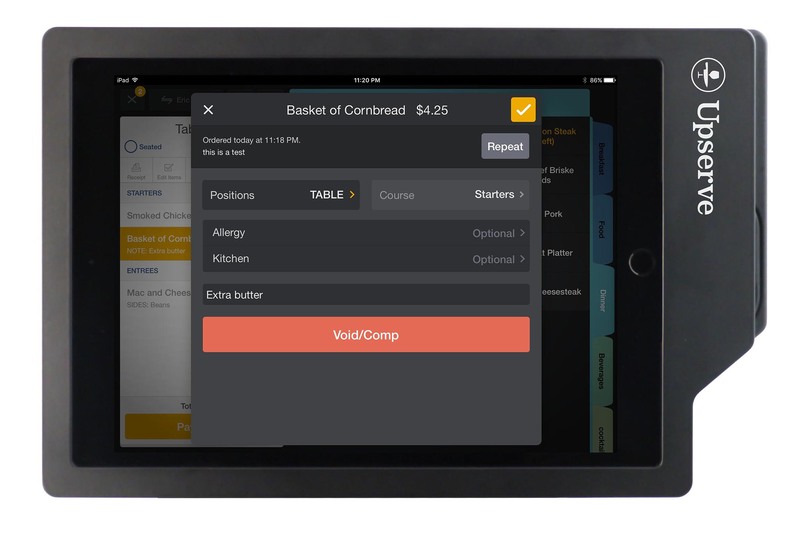 Upserve POS system for cafes shows you what dishes are selling hot – and which ones you should retire. With insight into the ingredients, flavors and dishes your customers love, your new recipes will be tailored to their tastes. As customizable as your sandwiches, so top sellers are right up front. Exceed customer expectations (and stay sane) with the restaurant POS system cafes love. Our interface is easy to learn and master, so it’ll never trip up your staff. Set a default screen that includes best-selling menu items and alterations, so adding an extra shot is as easy as a click. You can even add notes on allergies or preferences so the kitchen knows what’s up. Forget the crumpled loyalty cards and stamps. Upserve POS comes with Upserve Loyalty – a program that can be customized to your needs and offerings. We’ll design, print and ship free signage to help you market the program. The best part? It’s based on customers’ credit or debit cards, so you can 86 those old punch cards. Reviews and ratings should be your biggest ally. And when someone says something not so nice, it’s your job to make it right. You need a cafe POS that can tune into the conversation anywhere on the web. Manage your reputation by checking reviews, browsing customer profiles, and responding as needed. Five stars or sub-par, Upserve POS gives you a real-word look at the customer experience – all from a single location. Being a small cafe isn’t easy. In addition to competing with coffee drive-thrus and national cafe chains, you’ve got questions to answer and mouths to feed. Whether they’re working remotely, studying for a test or simply catching up with friends, your eclectic customer base has high expectations. How can you exceed those demands? By using a dynamic cafe POS system that integrates with the best restaurant management tools in the industry. When your POS system integrates with tools like KitchenSync and RSI solutions, you cafe will become faster, stronger and better than ever before. Crossed out menu items and out of stock signs aren’t cutting it in the digital age. 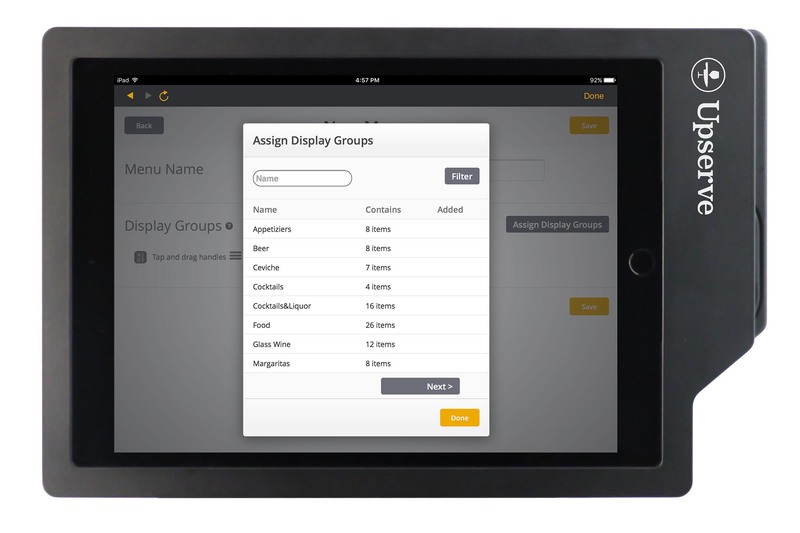 Instead, turn to an inventory and menu management integration that works with your cafe POS system. These tools help you make menu changes at the click of a button. Instantly update both digital and printed menus anywhere they appear, including your website and social. Sometimes, people want to know what you offer before they stop in. To make sure your web presence is both accessible and accurate, our operational and marketing integrations can help. Whether its posting your daily special on Facebook or updating your digital menu in real-time. you’ll never miss a beat.